It has been many years since the Shining series has left Japan. In fact the most recent releases from the franchise have been in the form of a PC fighting game and an anime adaptation for a game that was never localized. As such it came as a bit of a surprise to hear that Sega was bringing Shining Resonance Refrain, an enhanced version of a previous PlayStation 3 release, to the West. So with that being said, is this JRPG worth your time? Once the land of Alfheim high elves lived in harmony with dragons and made use of mystic Rune songs to communicate with them but a powerful evil force named Deus wished to rebuild the world. With some elves choosing to side with Deus and others wanting to keep the world as it was, war raged throughout the land and although the dragons and elves of the land managed to seal away Deus, the cost was immeasurable as the land of Alfheim was destroyed and nearly all of the dragons had perished. With the elves leaving to the mainland, humans began to settle on the land of Alfheim and founded a new kingdom named Astoria where they began to thrive. That is until the Lombardian Empire turned their sights towards the now vibrant island, waging a war that was only held at a deadlock thanks to Astoria being assisted by elves from the mainland and special tools named Armonics, instruments capable of using special magics that were given to the people by the great Shining Dragon of legend. It is here that we join a young princess knight named Sonia in a mission to rescue a young man named Yuma who is imprisoned by the Empire. While the task is a risky one it ends up being a true boon to the nation as Yuma (who serves as the main character) holds the soul of the Shining Dragon inside of him and is capable of transforming into the legendary creature should the need arise. While Yuma is hesitant to make use of his abilities, he quickly learns that he cannot sit by the sidelines and let the Empire destroy Astoria and vows to help protect the land. 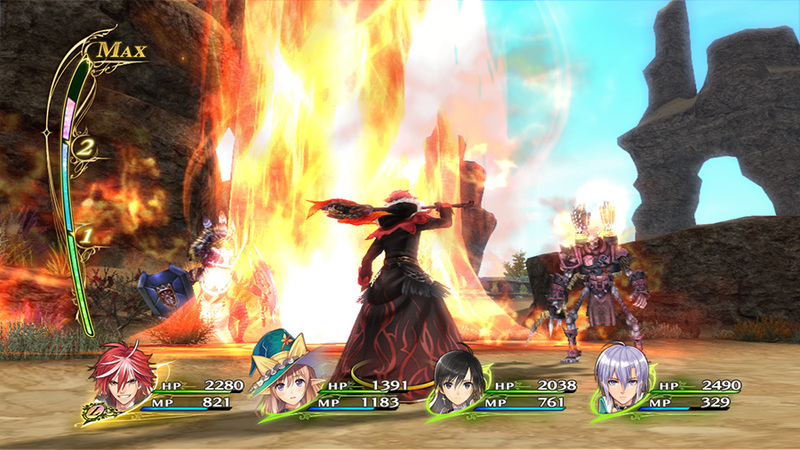 It is interesting to note that right off the bat Shining Resonance Refrain recommends that players should try the original story first before playing the Refrain version, since the Refrain version contains a few extra tidbits of information and two characters that will almost immediately join your party even though they are enemies in the main game. That being said, there really are no downsides to actually playing this mode right away as not only will extra content be included but there is very little in the way of actual story spoilers with the addition of these two characters other than their party addition being rather odd. Shining Resonance Refrain‘s core storyline really doesn’t try to be too innovative and tends to follow most of your standard JRPG elements and can even be a bit slow to develop at times but what helps make the story interesting happens to be how well the characters are actually handled. This is handled through a secondary mechanic that follows a character’s affection with Yuma since their personalities tend to be rather standard in the storyline. 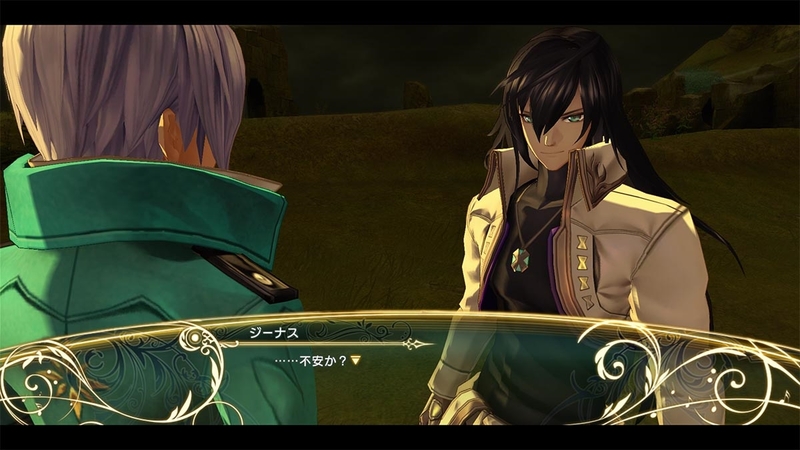 By talking with your party members when you are in the hub town and choosing correct dialogue choices you can raise and lower their affection levels and not only does this raise their combat abilities but it will also unlock new story elements for each of the individual characters. All of the characters, both female and male, can be talked through at bonfires with special “Night Events” that will allow you to grow closer together and eventually you can even go on dates in the main city to unlock additional pieces of their storyline, fleshing out these characters to a rather satisfying degree. This is especially true in the case of the bonus characters included in the Refrain mode. Like with many recent JRPGs, players will be mostly making use of only one city that serves as the hub to their adventure and this one happens to be named Marga. As you spend time in the city you can make use of various shops that will allow you to purchase new items, enhance your characters’ weaponry which in turn increases nearly all of their main stats, create usable items, and even gather some items through gathering points that are also found in the main world. Players will also be able to take on various side-quests from the townsfolk though don’t expect too much variety to be found here as many of them revolve around killing a certain type of enemy or gathering items. Outside of town players will find that there is a very large world open to them where enemies can be found roaming the wilds and inside of dungeons. There is no option to perform an advanced attack on enemies, instead when you grow close enough to them combat will automatically begin and take place in real time in that location. Combat works with players controlling a specific character while the rest of your party follows orders that can be changed at any time. As you fight players will be able to make use of standard attacks that deal decent damage as well as character specific “Break” attacks that have the chance of breaking through an opponent’s’ guard and leaving them in a “broken” state where they will be stunned and take increased damage. Characters can also make use of Force attacks that require the use of MP, though it is worth noting that any of the aforementioned attacks will require Action Points (AP) with a gauge below the character showing how many you have available. This AP system does feel like it slows combat down a bit too much at times but thankfully between the combination of Force attacks, a wide array of skills to unlock and eventually choose from, and the ability for Yuma to transform into the Shining Dragon at the risk of going berserk, and you’ll find that there is plenty of depth to this combat system. This is especially true in regards to the B.A.N.D. system that allows your characters to perform a song together that will provide various buffs to the party depending on who is performing in the center. 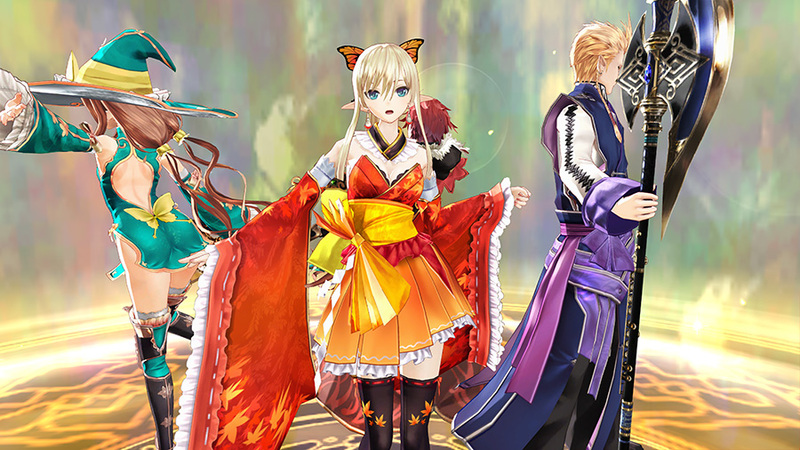 For the most part Shining Resonance Refrain isn’t the best looking JRPG in recent years, this is partially due to the fact that it is a remastered PlayStation 3 release, but that doesn’t mean the game is lacking in the art department. The standard environments outside of the main town are rather generic in nature and even most of the enemies tend to be your standard fare when it comes to an action RPG. 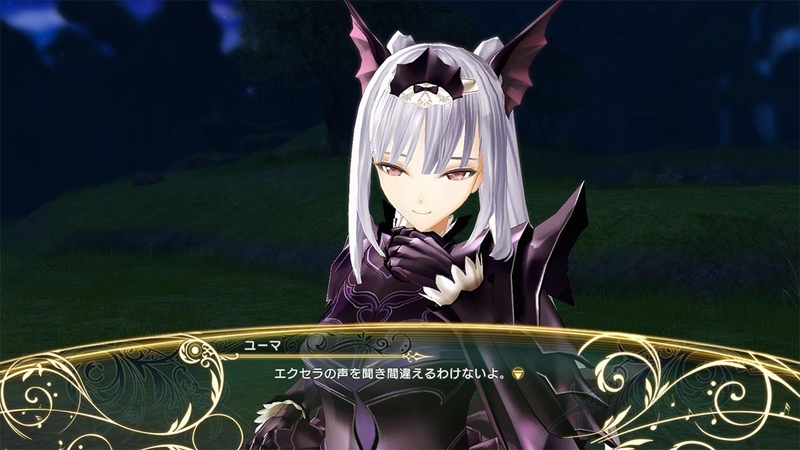 Where the game does shine happens to be Tony Taka’s familiar hand with the character designs. All of the characters in this game are nicely represented and feature an impressive level of detail, so much that even with the bevy of DLC costumes available I found myself keeping their original outfits on as they simply looked the best. 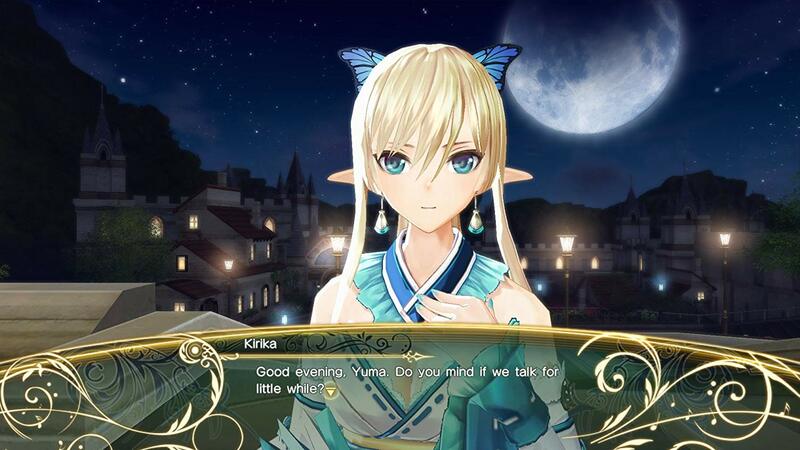 Shining Resonance Refrain boats both an impressive Japanese dubbing as well as a well handled English voice track, giving players a satisfying option to choose between and swap whenever they wish. The background music is also rather impressive in nature as all of the standard music is pleasant on the ears and there is a rather large amount of vocal tracks included in the game thanks to the musical nature of some combat elements. With plenty of charm and a great art style for its main characters, there is a lot to enjoy about this game despite its lackluster core storyline and a lot of it can be attributed to how nicely handled the characters as well as the decent combat system with enough unique elements to keep things feeling fresh. 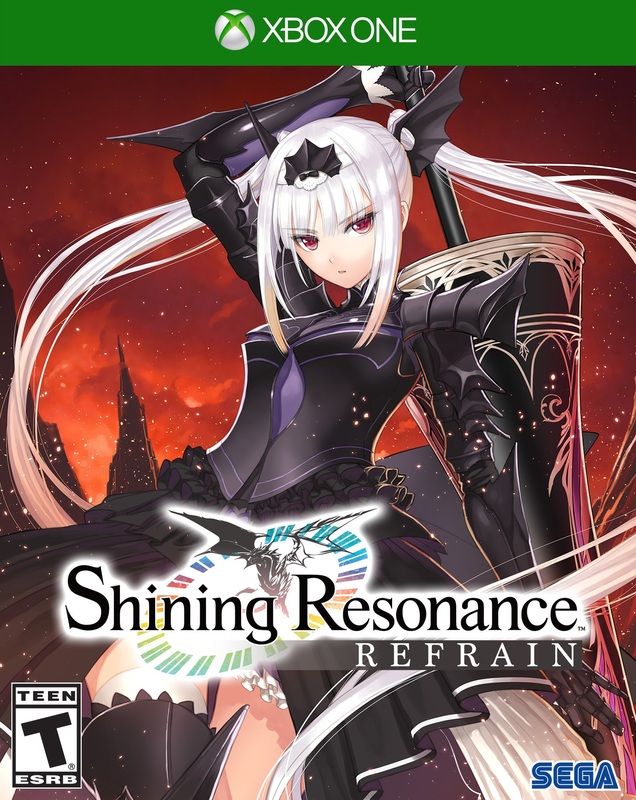 Shining Resonance Refrain may not be revolutionary to the genre but it does serve as a very satisfying JRPG that feels like it has came out at the perfect time. 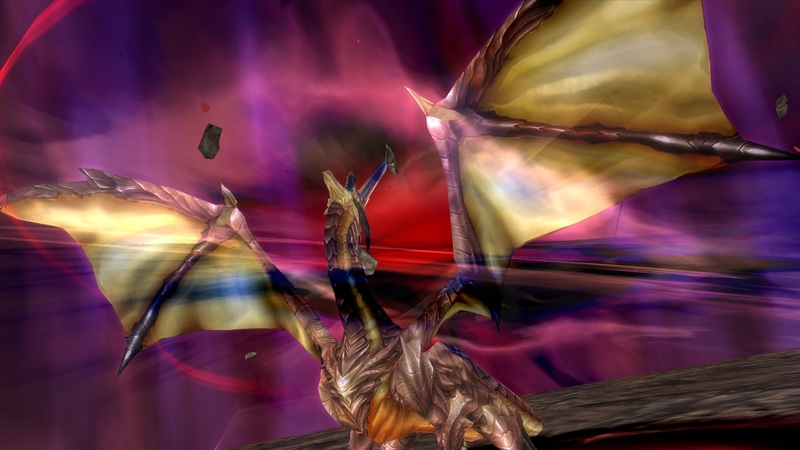 Although it follows the standard JRPG formula a little too closely, Shining Resonance Refrain makes for an enjoyable and lengthy experience filled with plenty of charm and satisfying combat.